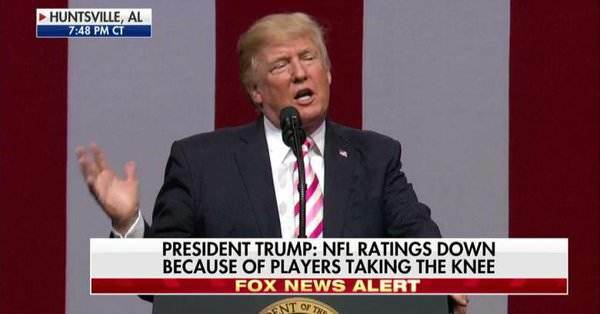 President Trump continued to slam the NFL for allowing players to disrespect US flag and country. President Trump: Roger Goodell of NFL just put out a statement trying to justify the total disrespect certain players show to our country.Tell them to stand! If NFL fans refuse to go to games until players stop disrespecting our Flag & Country, you will see change take place fast. Fire or suspend! …NFL attendance and ratings are WAY DOWN. Boring games yes, but many stay away because they love our country. League should back U.S.